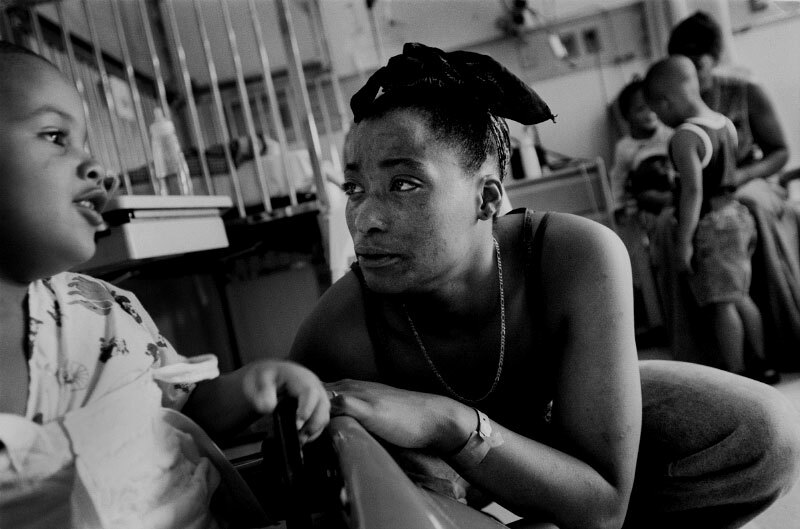 Burnadette Jordan visits her children, Shonnell, 3, left, and Maurianna, 1, rear, at Hasbro Children's Hospital where they are treated for lead poisoning. Both children receive intravenous medication for three days to reduce their elevated blood lead levels, which have been linked to mental impairment in young children. Jordan was also lead poisoned as a child and treated by the same physician as her children.